ready to use it. This welding machine has a user friendly design. All important connections and adjustable settings have been provided on the back and front panels so you will never face any difficulty in using this machine. industrial grade performance. You will feel like you are using a more complex and larger welder. 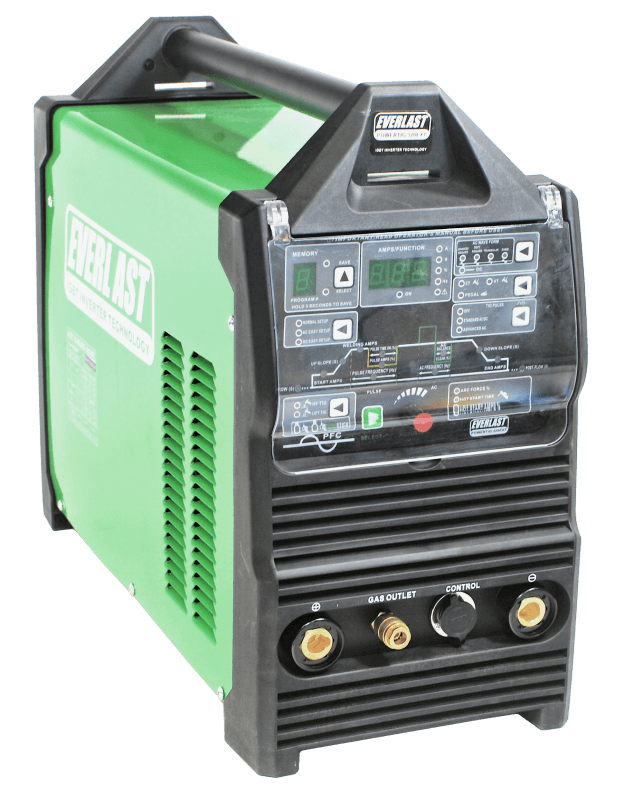 Checkout the inverter TIG welder reviews and it is perfect for welding aluminum due to its advanced features in controlling AC balance, AC frequency, AC Pulse and wave forms. There are plenty of features that you can use when using its DC function. Various adjustable options have been provided in its 2T/4T functions. 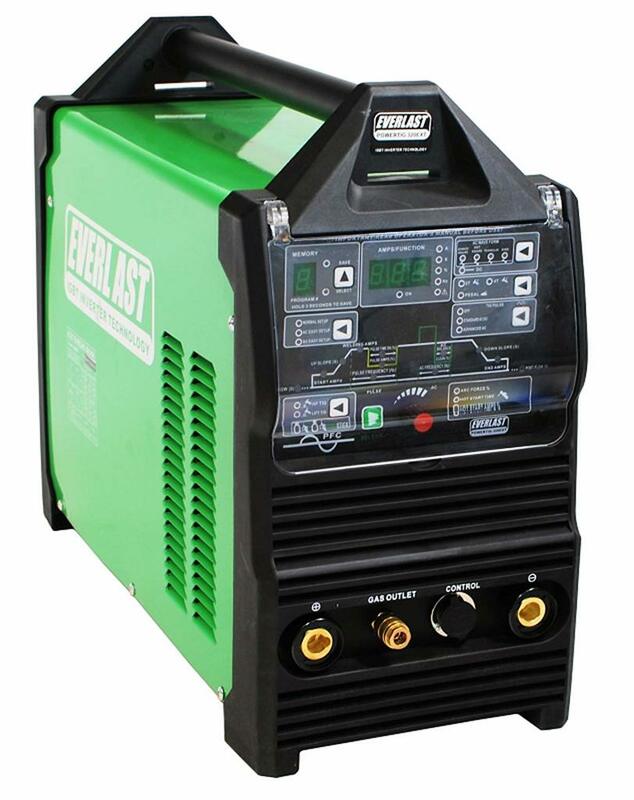 ​Everlast PT325EXT TIG welder offers 320 amps of strong welding power. Welding operation can be taken down to 10 amps in AC and 5 amps in DC mode. The AC wave form control includes four different wave forms including the Advanced Square Wave, Square, Triangular and Sine. It has quick start up features in both AC and DC modes. Its pulse can go up to 250Hz in AC and 500Hz in DC. The Advanced AC 10Hz Pulse mode improves welding of both thicker and thinner metals. This powerful home TIG welder is not only about TIG welding. It also offers high quality performance in stick welding mode with its hot start, hot start time, and arc force control settings. Its VRD function reduces the risks of shock and electrocution in the stick welding mode. 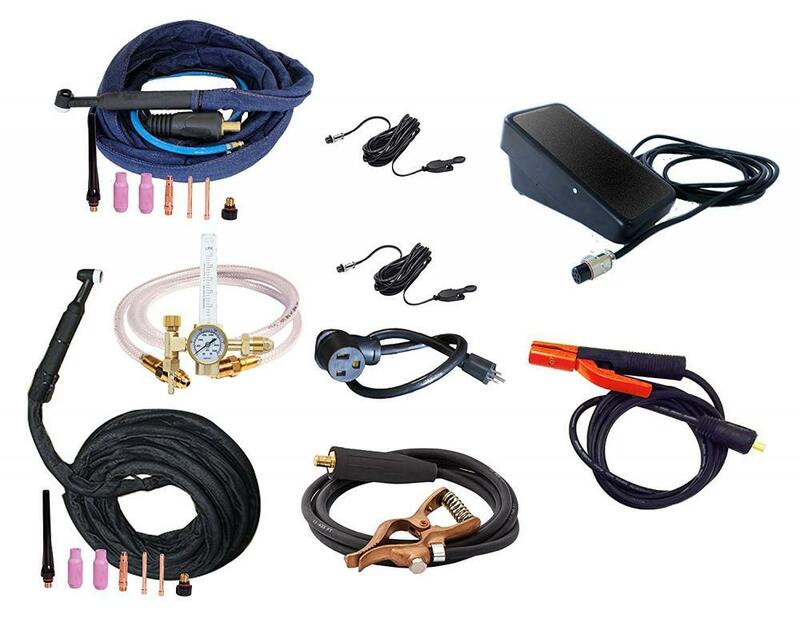 Even with all these heavy duty features, it weighs only 67 lb and measures only 9 x 21 x 17 inches in W x L x H.
comes with accessories including one 20 Series TIG cable and torch, one 9 Series TIG cable and torch, one 47K pedal, one heavy duty clamp, one regulator and hose assembly, and one electrode holder. Keep in mind that the types and number of accessories provided with the product may change without notice. Check the current price, specifications and accessories for more details. welding machine, this equipment will fulfill all your welding needs. ​It receives high ratings from its users because of its innovative IGBT and microprocessor control features that take the guesswork out of many functions. Its simplified menu design and panels make it easy to set up the device quickly. It is pricey but it has most of the features that you expect in a professional welding machine. Its original price is $2800 but it is currently available at Amazon at a discount for only $2450. voltage, amperage and arc. PowerTIG 325EXT is the top of the line welding machine from Everlast designed for the intermediate, professional and serious DIY welders.